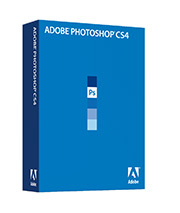 Adobe has taken the wraps off Photoshop CS4. I've been working with prerelease copies for months, and I have 10 favorite features that I want to share with you in today's podcast. This is a terrific update, and I think you're going to enjoy what Adobe has done with our "must have" photo application. This means that I also get to announce my new book, The Photoshop CS4 Companion for Photographers. This guide fits nicely in your laptop bag and maps out an easy to use workflow for photographers using CS4 -- everything from upload, to organization, to image editing, and output. I even included a chapter of Photoshop recipes for portrait retouching, lens distortion correction, color changing, and much, much, more. The Photoshop CS4 Companion for Photographers gives you everything you need, and nothing you don't. I think you're going to love it. After listening to your podcast, it seems like Photoshop in CS4 is trying to pick up some of the tools and backbone of Apple's Aperture. I use both daily (CS2 ver. of PS) so I can definitely see why non-destructive image editing, adjustments with sliders, dynamic image resizing, and most of the other mentioned features are functions that have made Aperture so successful. Let me say "thanks" for your podcast. This one actually let me know that the best of this new version of PS is something I already have between these two programs and plugins. I now know to hold off until I upgrade to a MacPro with an Intel processor before seeking further reach with Photoshop.